We will also choose more books at this meeting! In 1939, as Hitler casts his enormous, cruel shadow across the world, the seeds of apartheid take root in South Africa. There, a boy called Peekay is born. His childhood is marked by humiliation and abandonment, yet he vows to survive and conceives heroic dreams–which are nothing compared to what life actually has in store for him. He embarks on an epic journey through a land of tribal superstition and modern prejudice where he will learn the power of words, the power to transform lives, and The Power of One. Bryce Courtenay, The Power of One: Young Readers' Condensed Edition. 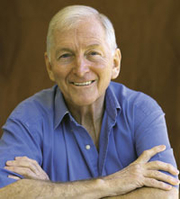 Bryce Courtenay is currently considered a "single author." If one or more works are by a distinct, homonymous authors, go ahead and split the author. Bryce Courtenay is composed of 8 names. You can examine and separate out names.